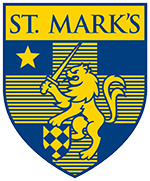 St. Mark's is governed by a 52 member, self-perpetuating Board of Trustees. An Executive Committee of 13 members leads the Board and its eight standing committees including the Audit Committee, the Committee on Trustees, the Development Committee, the Education Committee, the Facilities Committee, the Finance Committee, the Investment Committee, and the Long Range Planning Committee. Members serve in three-year terms and there are no term limits. The Board is responsible for setting institutional policy, hiring and evaluating the Headmaster, and ensuring the School's financial health and security. To nominate someone for a position on the Board of Trustees, please download the following file: Nomination Form. The following currently serve as active or life members on the Board of Trustees.